Our locksmiths are available 24 hours a day, 365 days a year. Our technicians are fully insured and provide fast and reliable service at affordable prices. House and car locks are ever-changing and increasingly complicated, but our method of door unlocking remains as safe as using a key. In addition, our service eliminates the need for costly key replacement and unnecessary duplication. Let our technicians professionally install or repair your locks. Have your safety and security ensured by having your locks installed by a professional. Our trained, technicians can professionally install your locks correctly the first time with minimal time and cost. We install and repair almost any lock type or brand, both commercial and residential. Our technicians are fast and reliable, and all the equipment they need to install or repair your locks quickly and correctly…the first time. 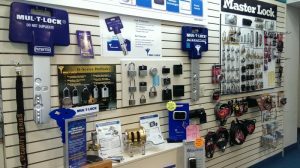 We have all the hardware your home or business needs. 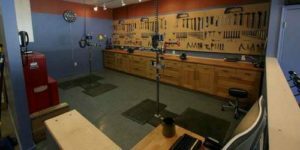 Our factory-trained technicians can service and install almost any type of lock or door hardware you may need. Our technicians can provide additional services including securing doors, filing systems, and desks to protect medical records, master key systems, general maintenance of doors and locks and much more. Replacing a transponder key for your vehicle is not as simple as getting a new key cut to match your ignition. Our factory trained technicians specialize in making keys that function properly and start your vehicle. 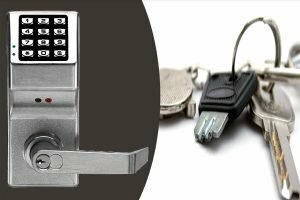 Our services include rekeying locks, repair of locks, and key duplication. We have over 5,000 keys at our shop, including auto keys, house keys, boat keys, padlock keys, safe deposit keys, desk and file cabinet keys, tubular keys, luggage keys, and more. We are conveniently located at 1383 E. College Avenue, State College, PA 16801.